Will be full of wonder! I am preparing another wee update of Babies, to arrive in time for your Winter Holidays. Baby Bunnies, Bears and Kittens will hop out of my basket this weekend. More details, date and time, as I finish the little munchkins (more likely everything will be ready by Friday/Saturday). Previews will be up on the Gallery once I get to take photos of all of them. But tomorrow November 20th at Noon EST, I will have this bunch of Snowflakes up for grabs on my etsy store. Their individual price is $20 USD plus postage, and they will all be loaded as one bunch, i.e. there won't be single listings for each snowflake (to preserve what little sanity I have left, I've decided to list them like this; you will get a unique snowflake). 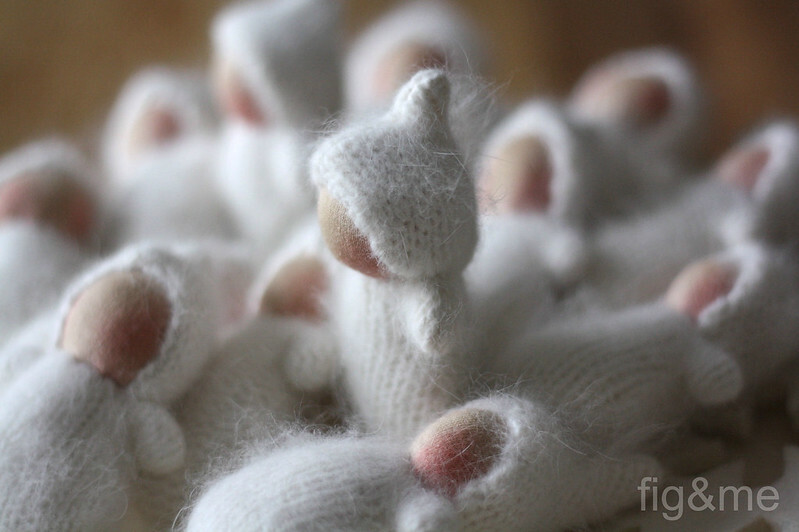 They all measure roughly between 4" to 5" tall, are all made with angora (super fuzzy stuff) and stuffed with wool. The knit placement varies, some have purl bodies, other stockinette bodies, but they are all cute as a snowflake (giggle!). These little dolls are NOT recommended for children under 3, for two reasons: A, they put everything in their mouth and the angora doesn't taste nice, B. they are quite small and while not a choking hazard I still don't recommend them especially for babies or toddlers. They will make a wonderful present to stash in a stocking though!. 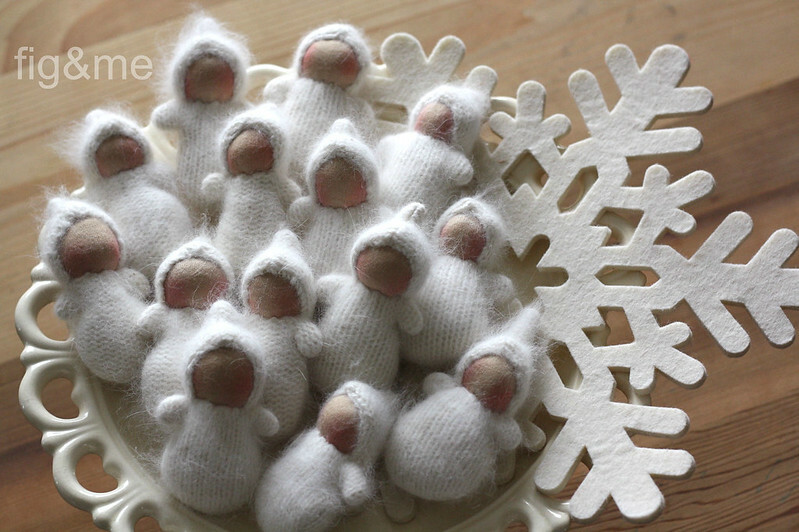 I hope you can make some time to grab a few Snowflake babies to celebrate the Winter holidays, and I also hope you have a wonderful week. Mine is turning out to be a great one.